First, identify any dangerous, diseased or nuisance plants. These should be removed. 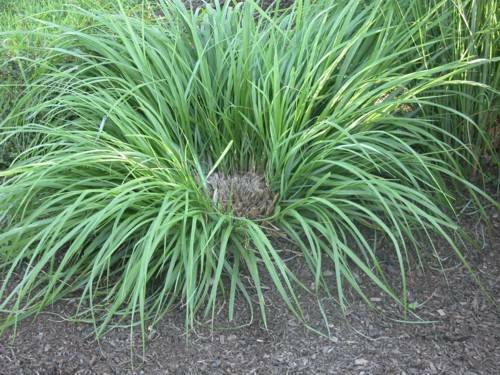 These plants include any trees with major branch dieback, perennials that spread rampantly via seeds, plants which always seem to suffer from fungal diseases (like Roses with Black Spot), plants that spread throughout your yard via suckers and any plants requiring more time than you have available (need regular staking, deadheading, pruning, etc). Plants that grow too vigorously or produce fruit, nuts or seed crops may simply be too messy for your location. Second, identify any damaged plants. Determine if these can be salvaged with creative pruning or are ruined beyond repair, in which case they should be removed. Keep in mind some perennials, such as Japanese Iris, need dividing every 3 years or so or will die out in the center due to overcrowding. These plants are typically easy to divide and will respond well to your efforts, giving you a great flower show the following year, or, if divided in early spring, later in the summer. In addition, these plants could used elsewhere, maybe to fill in some empty areas of the yard. Plants that may have suffered from a harsh winter may simply need to have the damaged branches removed to give them a chance to fill out and recover. There are many resources available (local professionals, books, gardening and university websites) to help you prune your plant properly. Third, evaluate any existing structures, such as pergolas or pathways that may need renovation or replacement. If you are working on a budget, it is best to always start with the hardscapes first, since they will define the space you have to work with. Hardscapes can consume a good portion of the budget, depending on the material you have chosen and the size of the project. 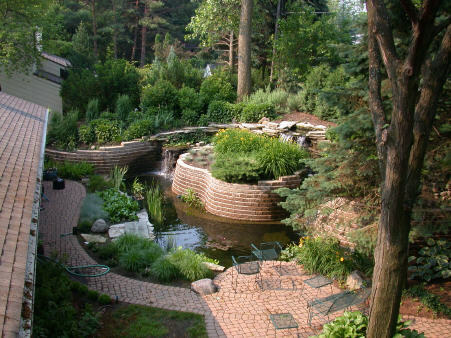 Hardscapes include pathways and patios. This phase of your project should also include the building of any structures such as arbors, and the placement of any boulders. Boulders are, unfortunately, often overlooked, but provide a unique and highly attractive look to the landscape. 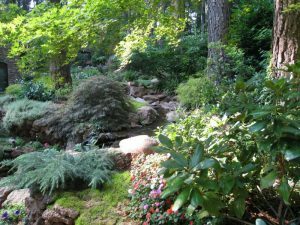 Boulders are available at most landscape supply offices and several different types may be available to choose from, depending on the look you are going for. Boulders are always a great investment and require no maintenance once installed. Second, make sure your site is ready to plant. Does your soil need amending? If you live in the Pacific Northwest, you may have soils high in clay. This is not detrimental, but can be hard to work with, so add copious amounts of organic material to help break down the clay and add nutrients to the soil. Now you are ready to begin installing new plants. Third, identify plants that will compliment your building façade without overwhelming it, plants that will require only the amount of maintenance you have time for and plants that appeal to your aesthetics. 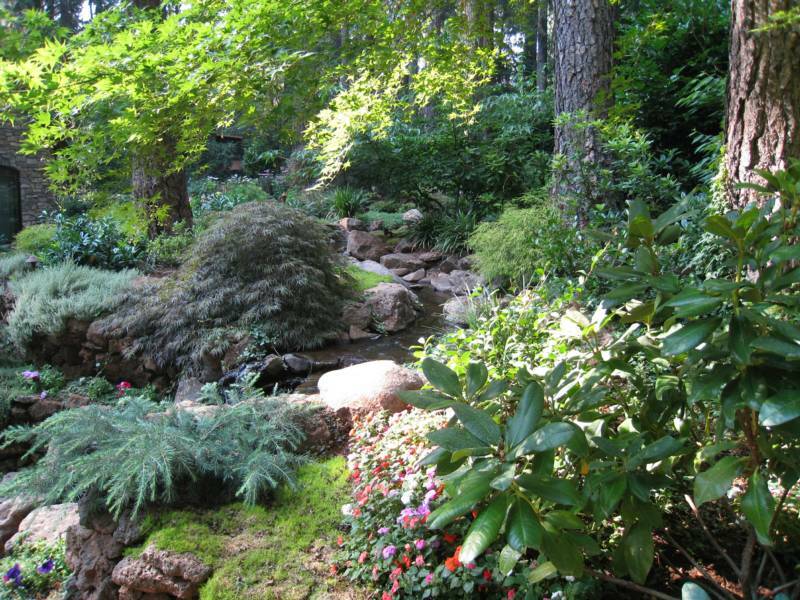 This should include a mix of evergreen and deciduous trees and shrubs, as well as perennials for seasonal interest. Again, if working on a budget, always install your big impact plants first. This means planting trees before you even think about planting perennials. Trees, like hardscapes and built structures, not only define spaces, but because of the time it takes for them to reach mature size, should be given even possible advantage to grow for as long as possible. Trees also give a landscape instant appeal and add to a finished look. Once the trees are in, plant underneath them with your chosen shrubs and perennials. Remember, layer plants with the tallest ones in the back and the shortest ones closest to walkways so the entire landscape palette can be appreciated. Place plants with similar needs together (thirsty plants with other thirsty plants, shade lover with other shade lovers). Choose plants that bloom at different times of the year and those with contrasting leaf size, shape and color for year round visual interest. Install plants in odd numbered groups or 3 or 5 to give the landscape a more natural feel. Stagger plants instead of planting them in rows, for a less formal effect. Don’t be afraid to get creative. 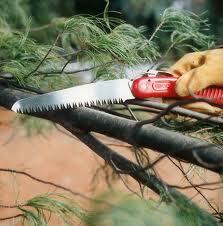 To give your landscape a professional feel, repeat plants throughout. Don’t buy 3 of every plant in the nursery . Instead choose only 5 or 8 or 12 plant types, depending on the size of your lot, and use these same plants throughout. Be sure to fertilize new plants to help them become established and provide adequate water for their needs. If you are not a natural at choosing plants appropriate for your location, do not be afraid to recruit the help of your local nursery staff. Generally, local nurseries have knowledgeable folks who are happy to share information with you. Alternately, hire a landscape designer or architect to draw a scale design of your yard – then all you have to do is put the plant in where indicated and voila, instant beautification.